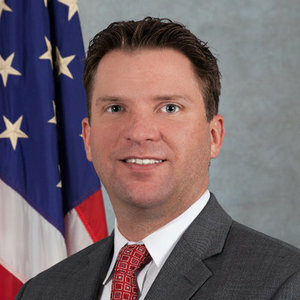 Predicting that federal regulations requiring more evidence of a “quality by design” approach to trials—including in terms of site qualifications and training—are less than two years away, O’Neill cited the agency’s agreement with current ICH E6(R2) guidelines for Good Clinical Practice from the International Council for Harmonization as evidence of the FDA’s “culture change.” This change, he said, demands that clinical trial practitioners give quality issues serious attention, rather than just “checking a box” when conducting their studies. The consequences of site quality variation are tangible, notes ACRP Workforce Innovation Officer Beth Harper, MBA. 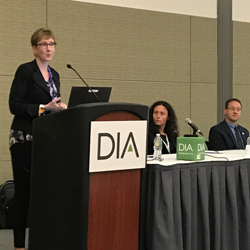 “Variations contribute to data integrity and patient safety” shortcomings, among many other downsides, she told attendees of the DIA event. 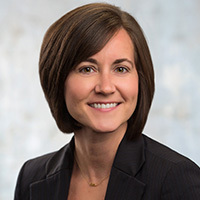 At the same time, the lack of clearly defined career paths and ongoing challenges from job dissatisfaction among professionals continue to fuel high, expensive staff turnover rates, she added. 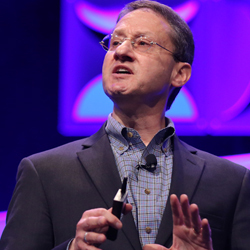 “Quality is moving in the wrong direction,” said Ken Getz, director of sponsored research programs and associate professor at the Center for the Study of Drug Development (CSDD) at the Tufts University School of Medicine. “We need a new approach,” he stressed. Industry continues to be fragmented while spinning its wheels in a “bizarre cycle where we never achieve consistency,” Getz told attendees. Case in point: Year in and year out, nearly 50% of principal investigators (PIs) are “one and done,” meaning they conduct a single study and then drop out of the clinical trial business. While common sense and anecdotal data suggest certification boosts individual and site performance, new data are beginning to drive the point home. A growing body of evidence demonstrates that credentialed, ACRP-certified staff perform better in terms of both quality and efficiency measures. Specifically, certification translates into fewer protocol deviations and faster enrollment, according to a comprehensive new study conducted by ACRP and WIRB-Copernicus Group (WCG) that analyzes global information across 65,000 investigators and 7,000 active study coordinators drawn from WCG’s Knowledge BaseTM. “As professionals, we all need to support certification,” added Jeff Kingsley, DO, MBA, CPI, FACRP, founder and CEO of IACT Health and immediate-past chair of the Association Board of Trustees for ACRP. He bases study coordinator promotions on achieving their Certified Clinical Research Coordinator (CCRC) status, in part because it demonstrates a higher level of competency. “Certification is definitely a measure of quality,” agreed Suzanne Caruso, vice president for clinical solutions at WCG, citing the new research that found much higher levels of performance among ACRP-certified professionals when compared to their non-certified peers. The analysis found that ACRP-certified PIs and research coordinators achieved the lowest deviation rates 85% of the time compared to their peers. The difference was more stark when looking at the “high number of deviations” category with ACRP-certified PIs and CRCs falling into this category less than 10% of the time. When segmenting site performance into four quartiles, 78% of the ACRP-certified investigators fell into the top two quartiles of enrollment performance and similarly 63% of the time, ACRP-certified coordinators captured the top two quartiles of faster enrollment rates. Anyone who believes the workplace challenges are going to recede any time soon is kidding themselves, Harper said. Site performance is highly unpredictable and is expected to be more volatile in the future, given the growing prevalence of rare and stratified diseases combined with a landscape characterized by fragmentation, low volume, inexperience, and high turnover. “We can solve many problems through staff credentialing,” she suggested.